Whether or not the old excuse, “I was just following orders” applies to these horrific circumstances, there’s little doubt that what our troops are doing in our name was concocted at the highest levels of American society, and that’s where the real criminals are. The ugliness we see everywhere in the conduct of these wars stems from their imperial nature. These are not wars of self-defense by any stretch of the imagination, no matter what our ubiquitous propaganda machine says, but wars to subjugate and rob other nations of their sovereignty and resources. Few Americans would dispute this truth if even a mild version of what we do in these weaker nations were done to us, on our soil. 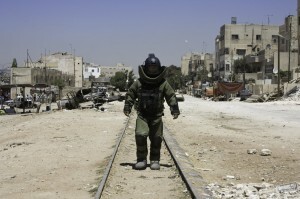 Despite claims of being "anti-war", Oscar winner The Hurt Locker, highlighting the heroism of a bomb disposal squad, plays more as a whitewash for what our military is doing in Iraq than a critique. Truthout has spoken with several soldiers who shared equally horrific stories of the slaughtering of innocent Iraqis by US occupation forces. The hearings provided a platform for veterans from Iraq and Afghanistan to share the reality of their occupation experiences with the media in the US. Washburn testified on a panel that discussed the rules of engagement (ROE) in Iraq, and how lax they were, to the point of being virtually nonexistent. Hart Viges, a member of the 82nd Airborne Division of the Army who served one year in Iraq, told of taking orders over the radio. Vincent Emanuele, a Marine rifleman who spent a year in the al-Qaim area of Iraq near the Syrian border, told of emptying magazines of bullets into the city without identifying targets, running over corpses with Humvees and stopping to take “trophy” photos of bodies. Kelly Dougherty – then executive director of Iraq Veterans Against the War – blamed the behavior of soldiers in Iraq on policies of the US government. “The abuses committed in the occupations, far from being the result of a ‘few bad apples’ misbehaving, are the result of our government’s Middle East policy, which is crafted in the highest spheres of US power,” she said. We’ve seen all of this before, in Vietnam and other places, but our leaders and population cannot “learn” the obvious lessons because the logic of the imperial machine is amoral and sociopathic. The first question should be, “Is this war morally justified?” instead of “Is this war winnable”? Often careerist and self-serving, the “pragmatic” road is inherently amoral, yet it is pundits and military strategists who pride themselves in being “pragmatic” who cheerfully serve as architects and managers for these wars. Quite simply, these crimes will not stop until American imperialism is stopped, and that will require a profound reshuffling of American society. Brian Casler, a corporal in the Marines, spoke of witnessing the prevalent dehumanizing outlook soldiers took toward Iraqis during the invasion of Iraq. “… on these convoys, I saw Marines defecate into MRE bags or urinate in bottles and throw them at children on the side of the road,” he stated. Scott Ewing, who served in Iraq from 2005-2006, admitted on one panel that units intentionally gave candy to Iraqi children for reasons other than “winning hearts and minds. In response to the WikiLeaks video, the Pentagon, while not officially commenting on the video, announced that two Pentagon investigations cleared the air crew of any wrongdoing. A statement from the two probes said the air crew had acted appropriately and followed the ROE. Kokesh pointed out that “reasonable certainty” was the condition for using deadly force under the ROE, and this led to rampant civilian deaths. He discussed taking part in the April 2004 siege of Fallujah. During that attack, doctors at Fallujah General Hospital told Truthout there were 736 deaths, over 60 percent of which were civilians. When this Truthout reporter was in Baghdad in November 2004, my Iraqi interpreter was in the Abu Hanifa mosque that was raided by US and Iraqi soldiers during Friday prayers. Iraqi Red Crescent later confirmed to Truthout that at least four people were killed, and nine wounded. Truthout later witnessed pieces of brain splattered on one of the walls inside the mosque while large blood stains covered carpets at several places. This type of indiscriminate killing has been typical from the initial invasion of Iraq. Truthout spoke with Iraq war veteran and former National Guard and Army Reserve member Jason Moon, who was there for the invasion. According to the Pentagon probes of the killings shown in the WikiLeaks video, the air crew had “reason to believe” the people seen in the video were fighters before opening fire. What is happening in Iraq seems to reflect what psychiatrist Robert Jay Lifton calls “atrocity-producing situations.” He used this term first in his book “The Nazi Doctors.” In 2004, he wrote an article for The Nation, applying his insights to the Iraq War and occupation. Cliff Hicks served in Iraq from October 2003 to August 2004. 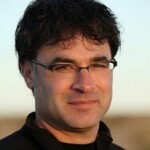 DAHR JAMAIL embodies the essence of citizen journalism. In late 2003, weary of the overall failure of the US media to accurately report on the realities of the war in Iraq for the Iraqi people and US soldiers, Dahr Jamail went to the Middle East to report on the war himself. Since then, he has become world renowned for documenting the human cost of the Iraq war: the everyday violence and terror, the deterioration of the healthcare system, the shortages of clean water and the resulting rise in sickness, the lack of jobs and economic opportunity, the refugee crisis, and the detention and torture of civilians and resistance fighters. Dahr currently writes for the Inter Press Service, Le Monde Diplomatique, and many other outlets. His stories have also been published with The Nation, The Sunday Herald in Scotland, Al-Jazeera, the Guardian, Foreign Policy in Focus, and the Independent to name just a few. Dahr’s dispatches and hard news stories have been translated into French, Polish, German, Dutch, Spanish, Japanese, Portuguese, Chinese, Arabic and Turkish. On radio as well as television, Dahr reports for Democracy Now!, has appeared on the BBC and NPR, and numerous other stations around the globe. Dahr is also special correspondent for Flashpoints.